Police fired tear gas and used a water cannon to disperse thousands of protesters in Paris who are out on the streets for a fourth consecutive weekend. 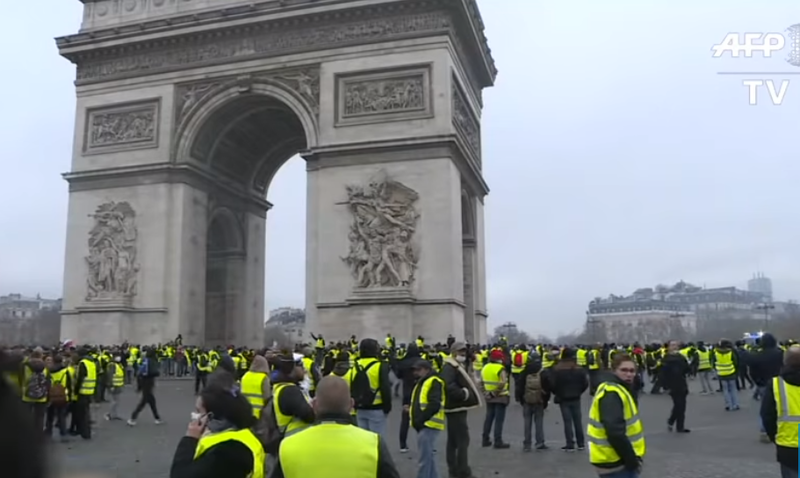 Protesters clad in the fluorescent yellow jackets that all motorists in France must have in their cars are opposed to new taxes that French President Emmanuel Macron’s government has imposed on fuel – as part of a supposed stepped up efforts to fight "climate change." Fuel prices have increased by 23% since the tax.